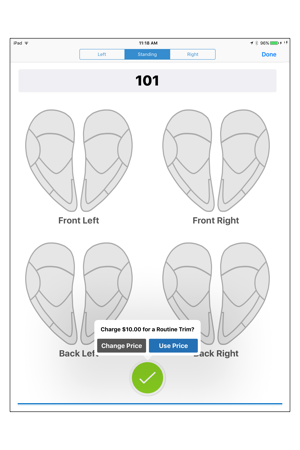 Hoof Tracker is the best way to manage your hoof trimming business. If you are ready to bring your hoof-trimming business and clients into the digital age, Hoof Tracker is perfect for you. 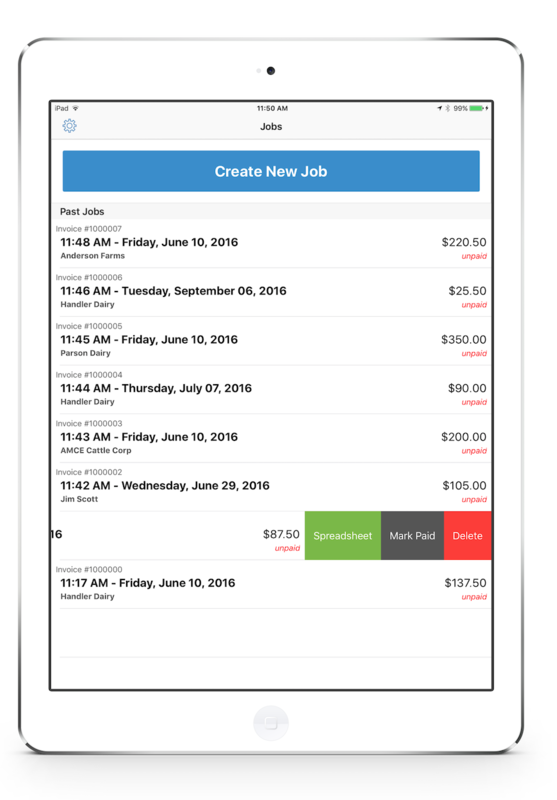 We’ve created a powerful and unparalleled solution for managing all your work and clients. 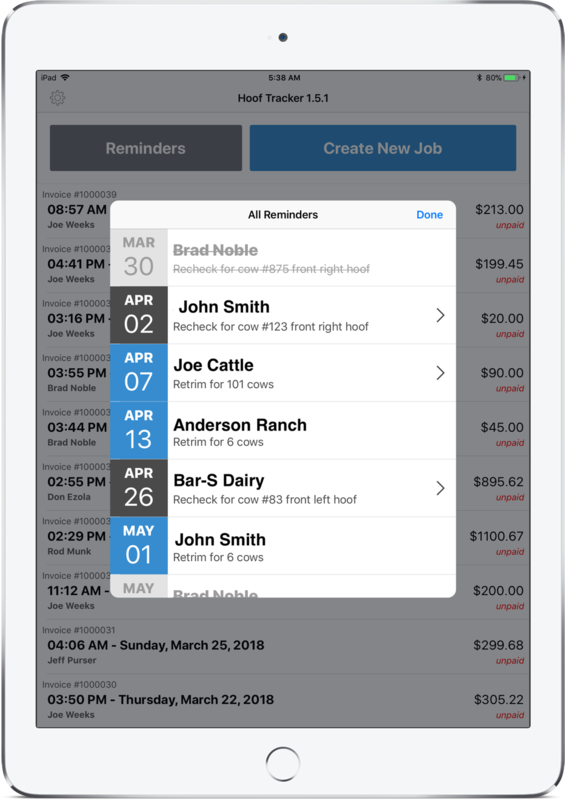 Hoof Tracker was created to save you time and money by allowing you to track your jobs, invoice clients, provide insights into your work, and more. We use the latest technological advances in hardware, security, and cloud-syncing to give you a solution that nobody else can match. Hoof Tracker uses the cloud to store your data, so you never have to worry about data loss due to accidents. Since your work is stored off the device, you aren’t trapped into using obsolete hardware. You can upgrade your device at any time. And with a Wifi connection, multiple Hoof Tracker units can be connected together, allowing you to sync multiple chutes in real time. With Hoof Tracker, there are no subscriptions or monthly payments or any kind. Purchase once and use forever. Your data belongs to you, and can be shared and sent anywhere. Each job is available in spreadsheet format, allowing you to export it to other programs such as Excel. And because everything is stored to the cloud off the device), you can upgrade your hardware at any time without losing data. At Trim Tec, we understand the work you do. We’ve been in the industry for 40 years, and have the experience and knowledge you can trust to get the job done. 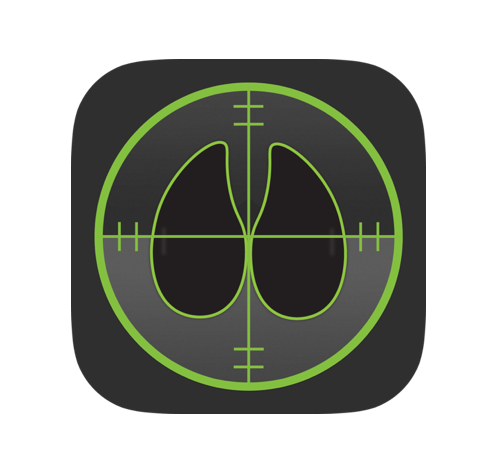 Hoof Tracker is built and designed to be a powerful solution for you. Everything is streamlined to allow you to enter data quicker than any existing solution: Record routine trims with a single tap. 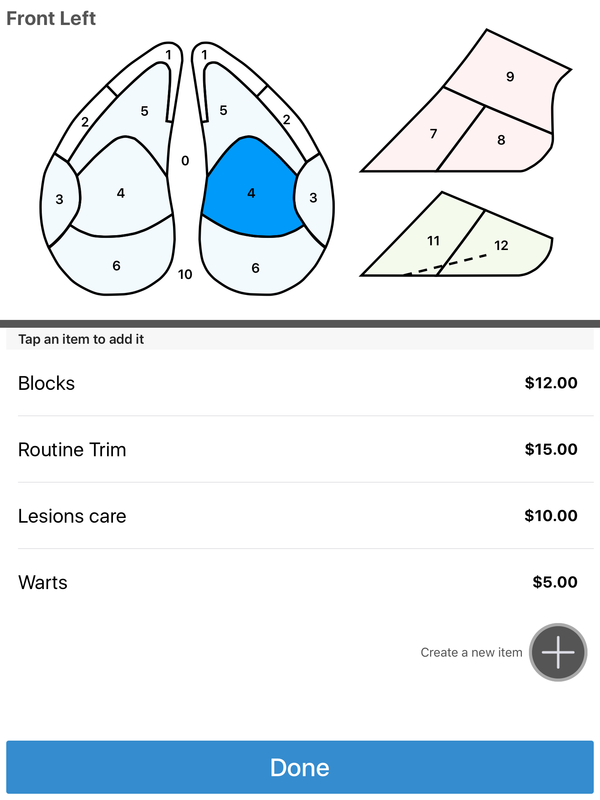 You can easily add photos, notes, or specific treatments at blazing speeds. 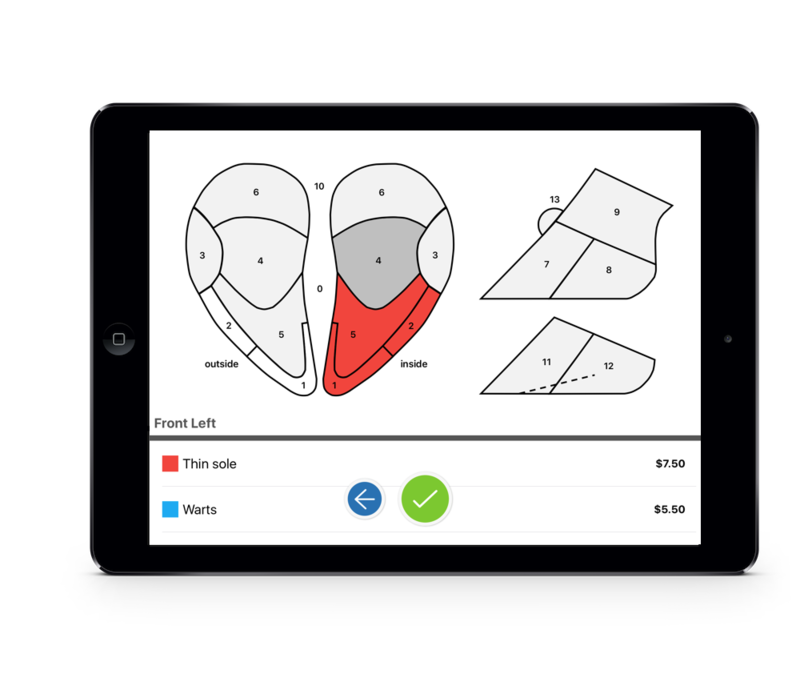 The software is intuitive and easy to use. 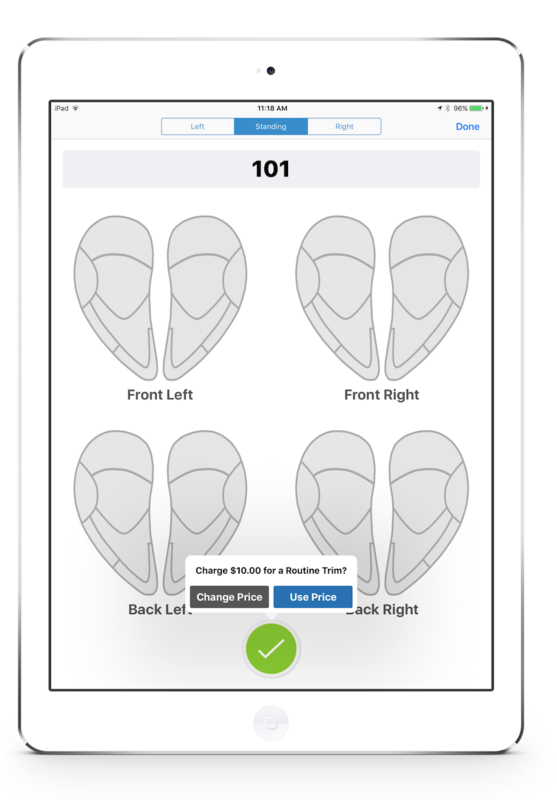 Hoof Tracker is made to be adapted and customized to your specific needs. 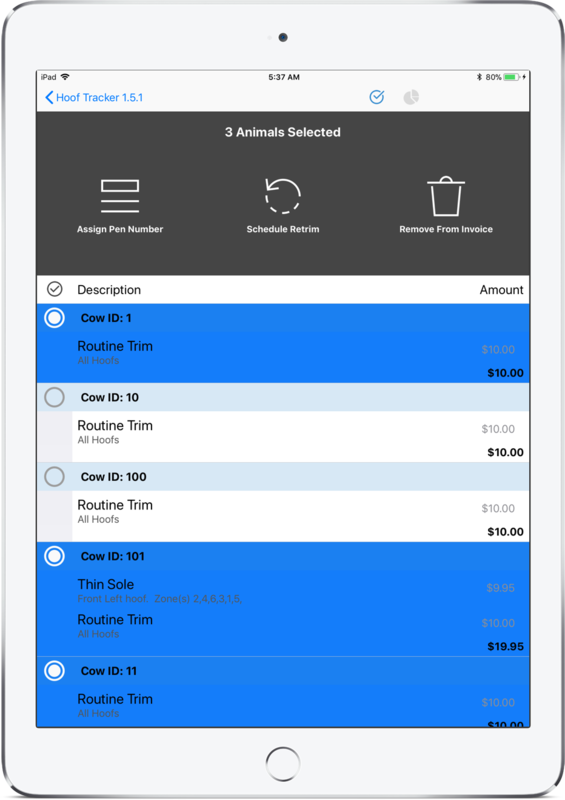 Enter your own treatments and pricing, which can be added by an animal just by tapping when on the job. 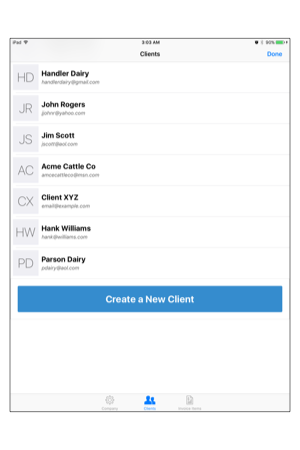 Easily create clients and manage your company information. With Hoof Tracker, you are in control at all times, and can decide who to share your data with, and how you want to share it. Hoof Tracker doesn’t just help to get the job done. It also provides a deep level of insight into the work you do, allowing you to spot trends and mange animals you work with regularly. All cattle retain a history of the work you’ve done on them, allowing you to view it at a glance. 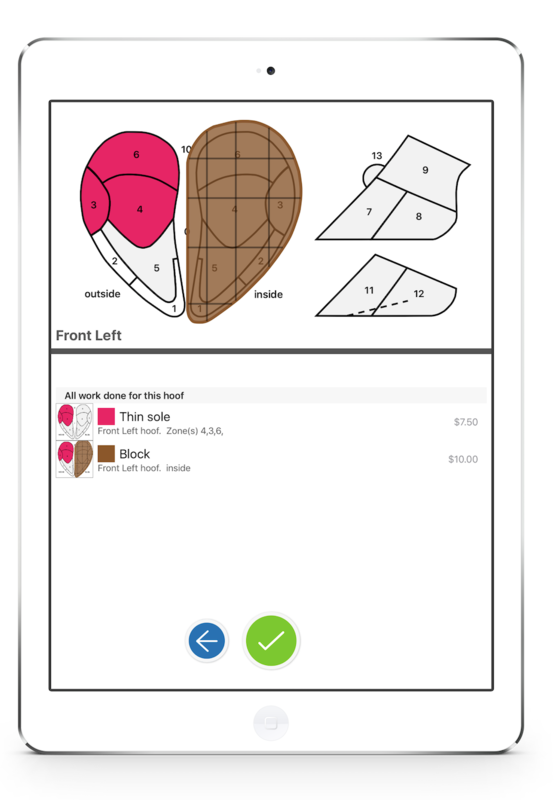 Powerful graphs display information for invoices, and show a complete overview of your work. 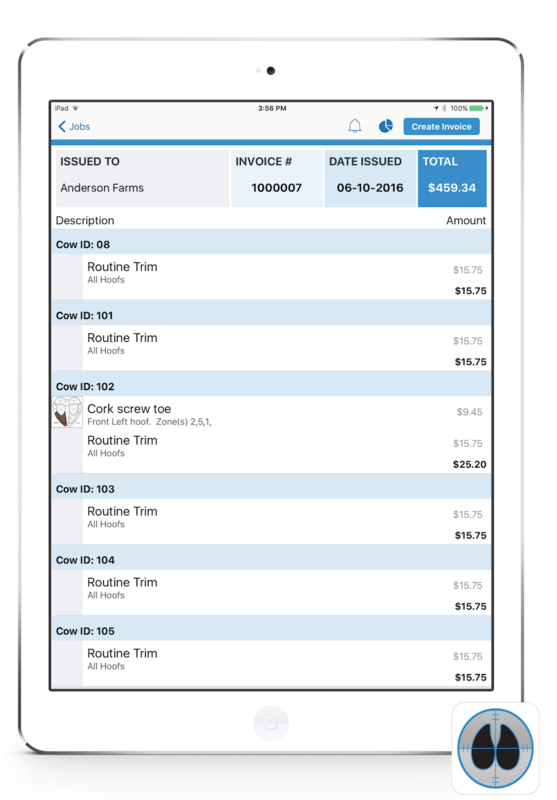 All information, invoices, cow history, and client history can be shared via electronic data which can be emailed or exported into Excel or any spreadsheet software. 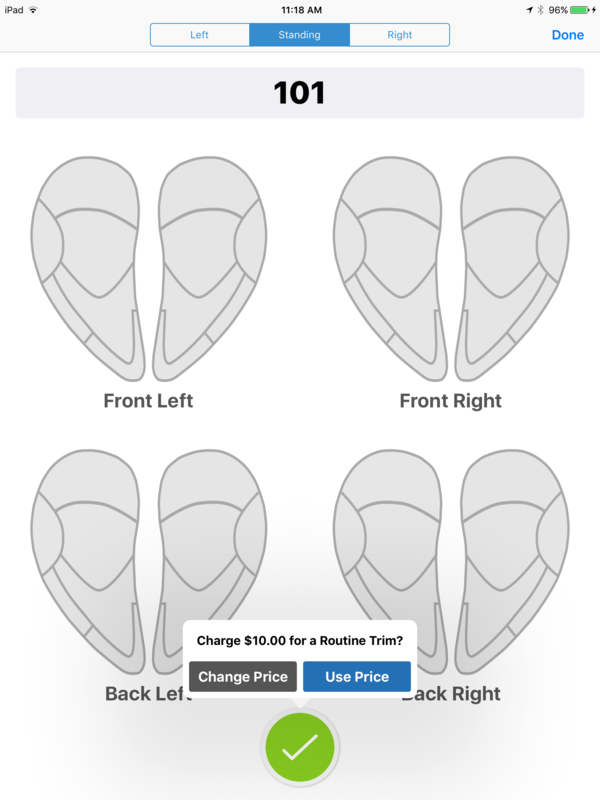 For cases and treatments that require more than a routine trim, Hoof Tracker has you covered: You can add treatments to specific zones of the hoof, color-code treatments applied to invoice items, and so much more. 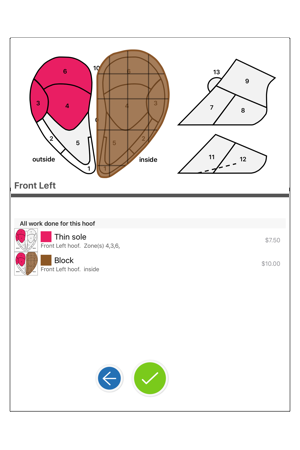 Attach a photo and draw on it for additional detail. Type notes if needed for any item you add. Schedule a recheck for items that require a followup. 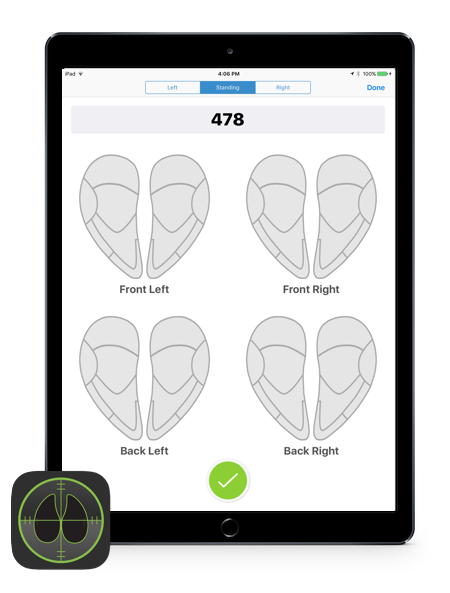 Hoof Tracker can be as simple or as powerful as you need. 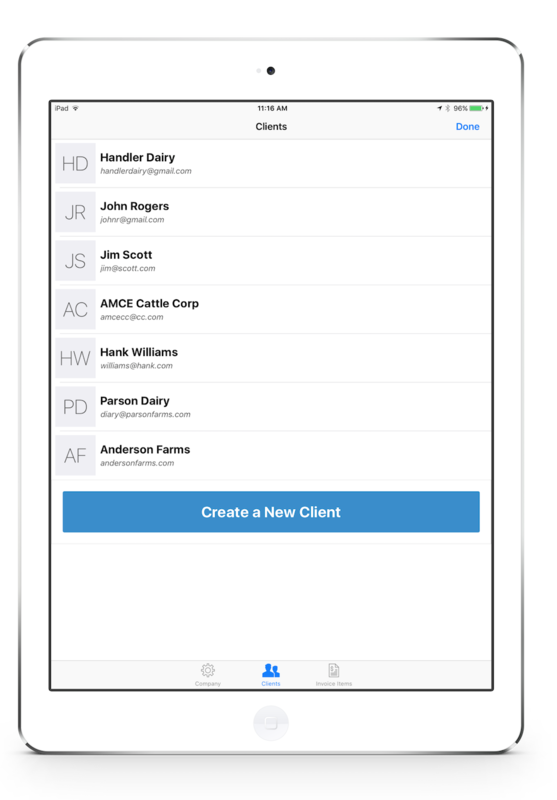 With Hoof Tracker, you can create and assign access codes to easily share your data with your clients. 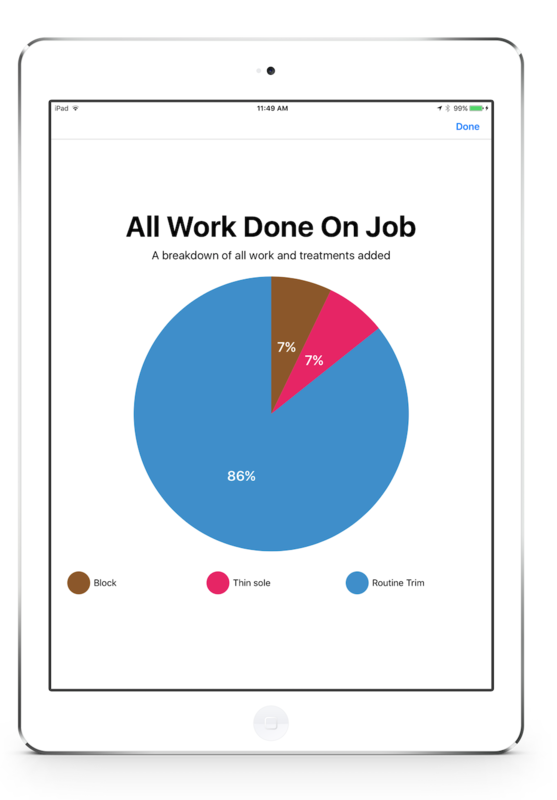 This allows them to view your work in read-only format on any iPad. 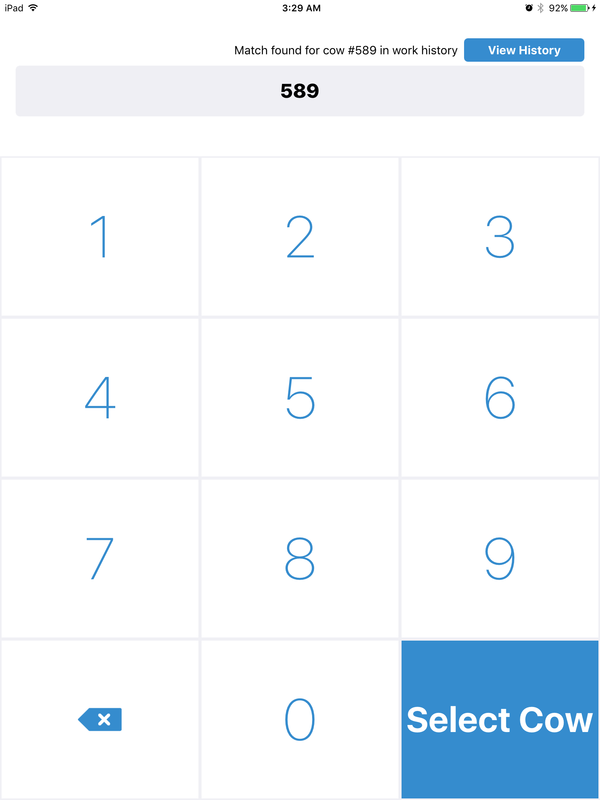 Share graphs, spreadsheets, invoices, checkbook reminders, and more. The information you’ll be able to provide to your clients will be invaluable to them, and make you indispensable. And you retain full control over all the data. 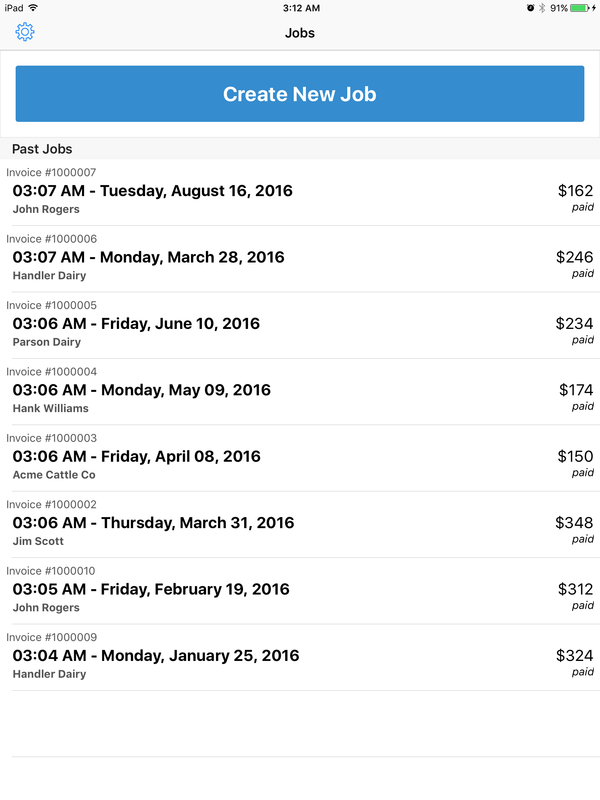 Hoof Tracker has the ability to bulk edit animals, enabling you to easily manage jobs and save you time. 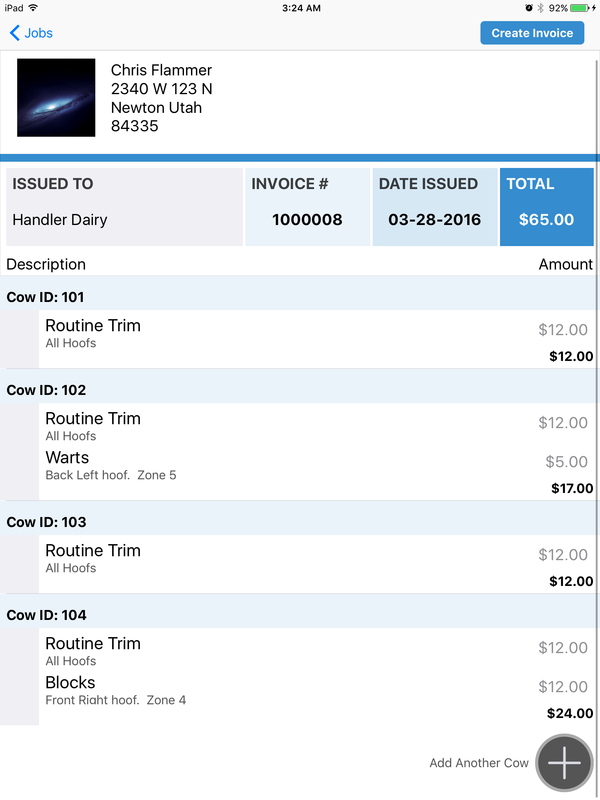 With just a few taps, you can assign pen numbers, schedule a retrim, or remove animals from an invoice for an entire selection of the client’s cattle. 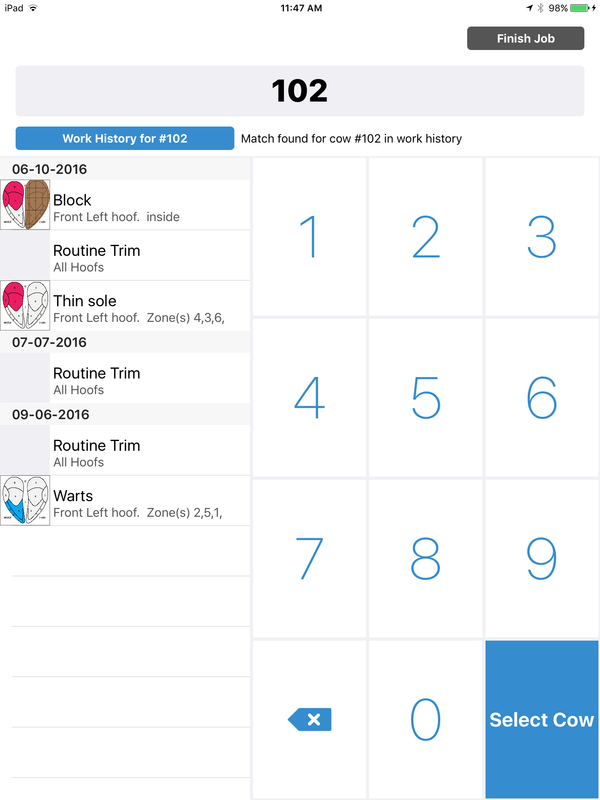 The app allows you to set reminders for work items you may have in the future. You can easily set a date to recheck on a single treatment, or retrim a specific group of cattle. 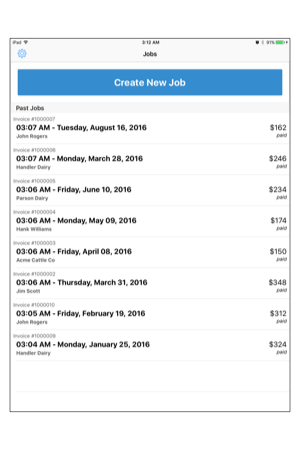 The app will schedule reminders in the calendar, and multiple persons can be emailed about the upcoming event. 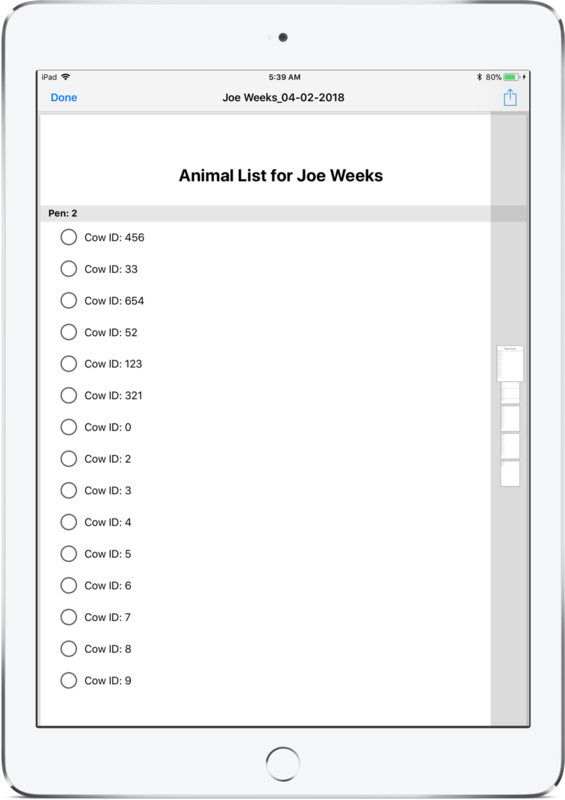 We’ve built robust printing and PDF export for those times when you need a paper copy of retrim lists, animals, or even recheck items. Printed documents can be exported using a variety of sharing options, and even be opened in 3rd party apps. 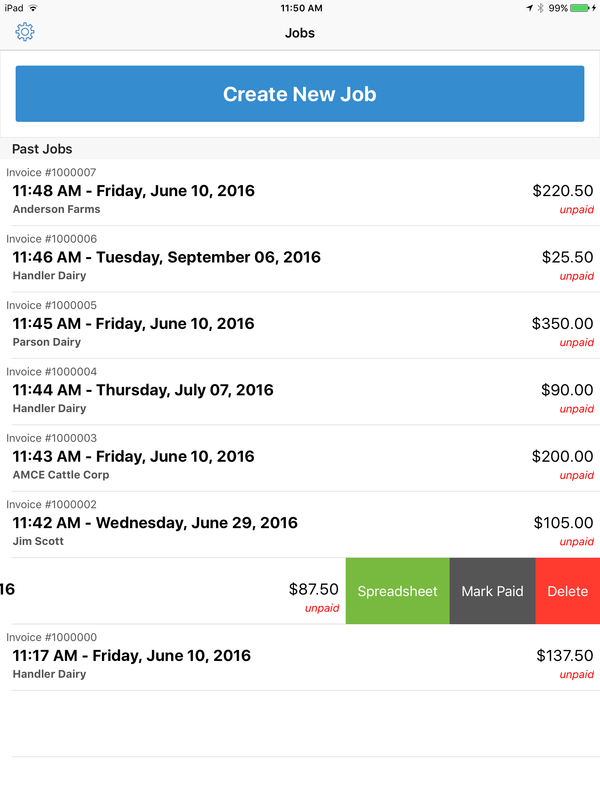 With Hoof Tracker, you can keep track of all upcoming work for your clients. 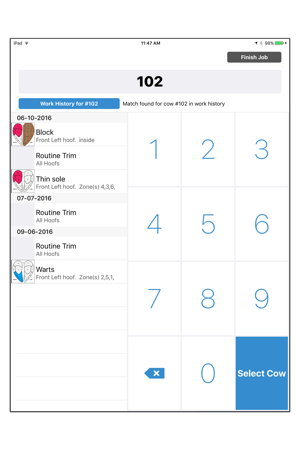 Schedule retrims for a group of cattle, or recheck a treatment on a single animal. 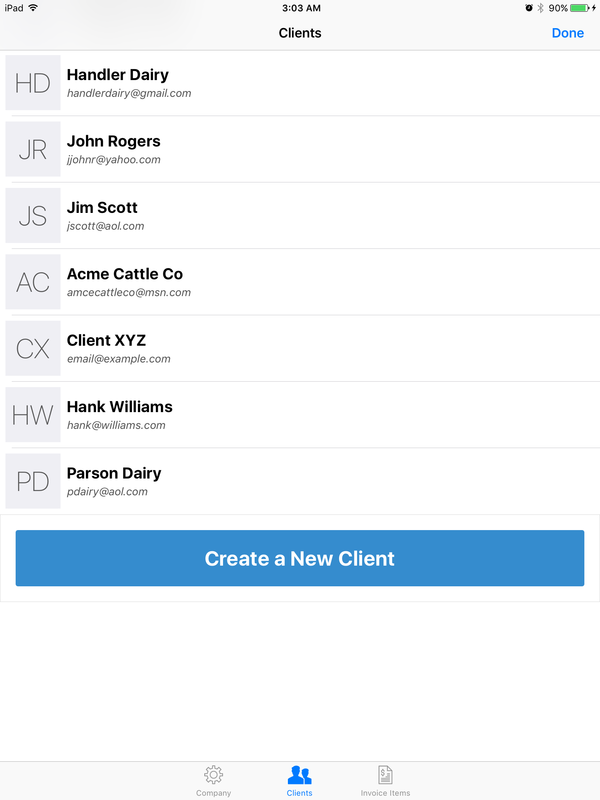 Hoof Tracker will create reminders, and track their status in a single place to ensure that you never miss upcoming work across all your clients. 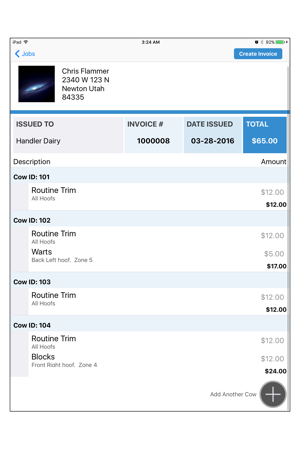 Hoof Tracker supports a variety of ways to add to manage your trim jobs, invoice for routine trims, and more. 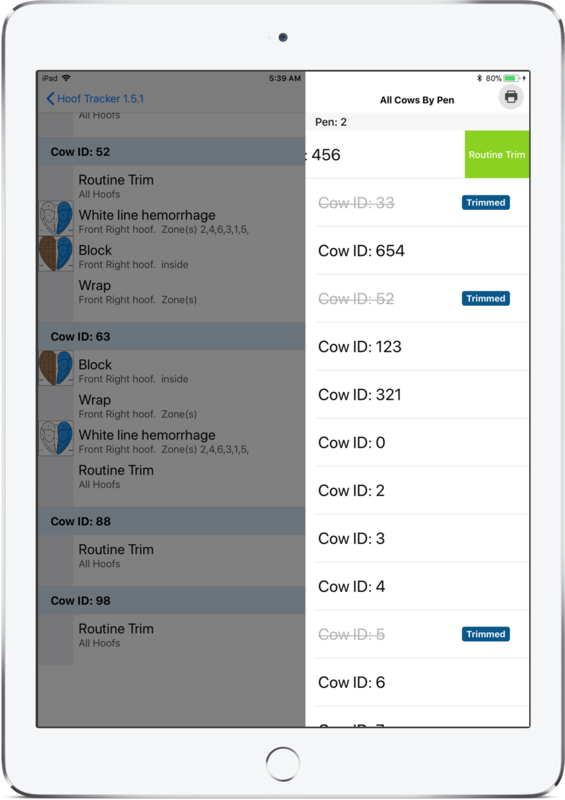 With retrim lists, you can quickly enter routine trims for cattle. 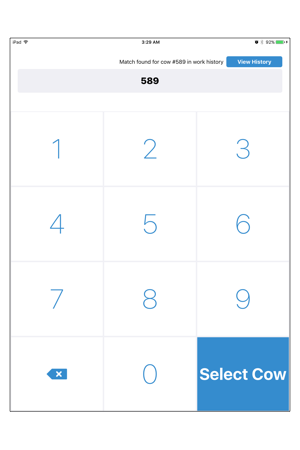 All a client’s cows can be looked up by their number, or accessed together, sorted by pen. 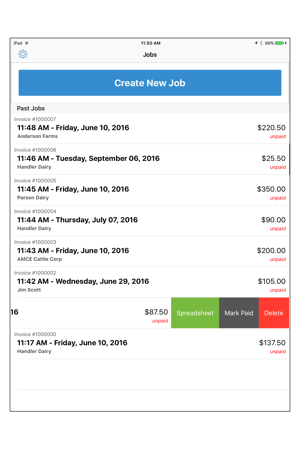 When it comes to working and invoicing your clients, Hoof Tracker provides the tools to get things done. Hoof tracker comes in an industry-standard waterproof, shockproof, and drop-proof case. All software updates are free after original purchase. 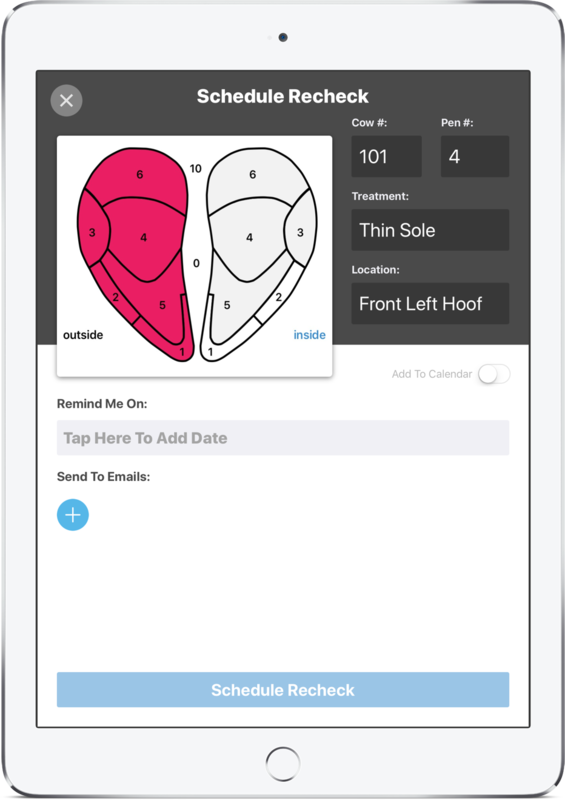 No licenses are required..
Take notes and add photos to treatments provided for hoof abnormalities. Invoice the client directly onsite. 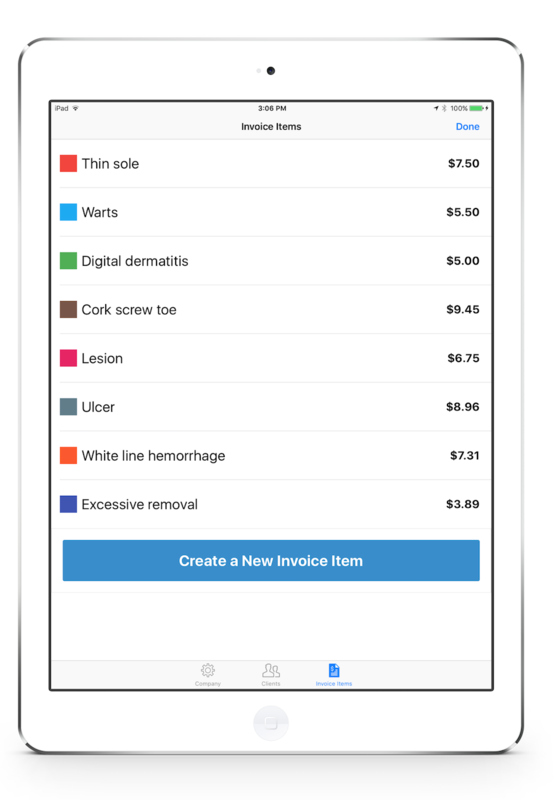 Your clients can sign an invoice on the job. Invoice them easily and efficiently.. Your data can be shared as a spreadsheet. 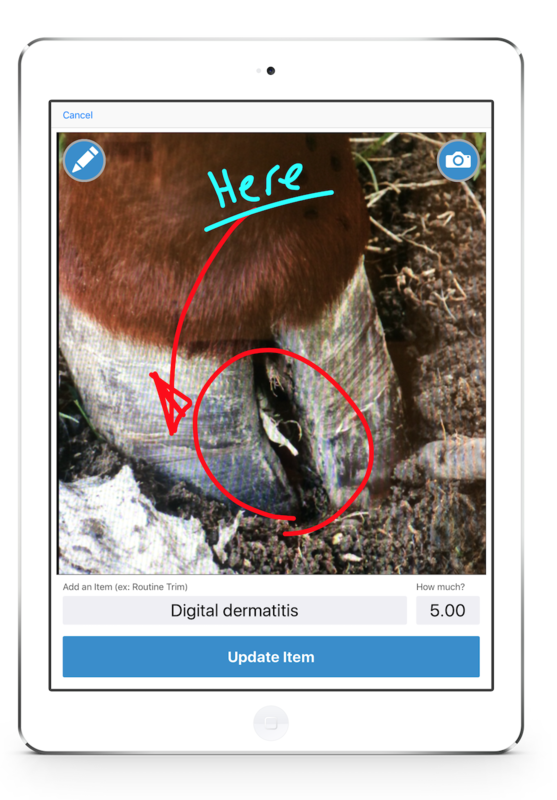 With the Dairyman version of the app, your clients can access the work you’ve done..
Take notes and photos of lesions and other abnormalities treated.